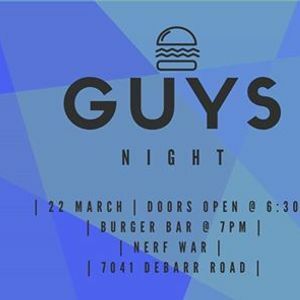 You're invited to GUYS NIGHT! Come hungry to consume your dream hamburger because, YES, there will be an epic hamburger bar with ALL the fixings. 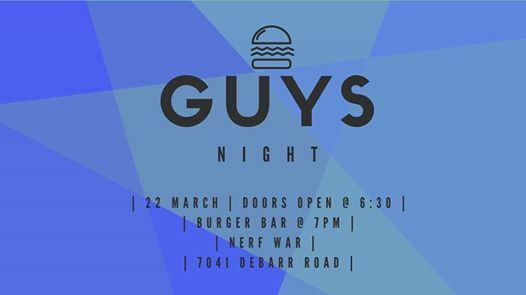 Gather your pals and come ready to receive an amazing message from God at GUYS NIGHT. Becky Kotter & Company - McGinley's Pub!